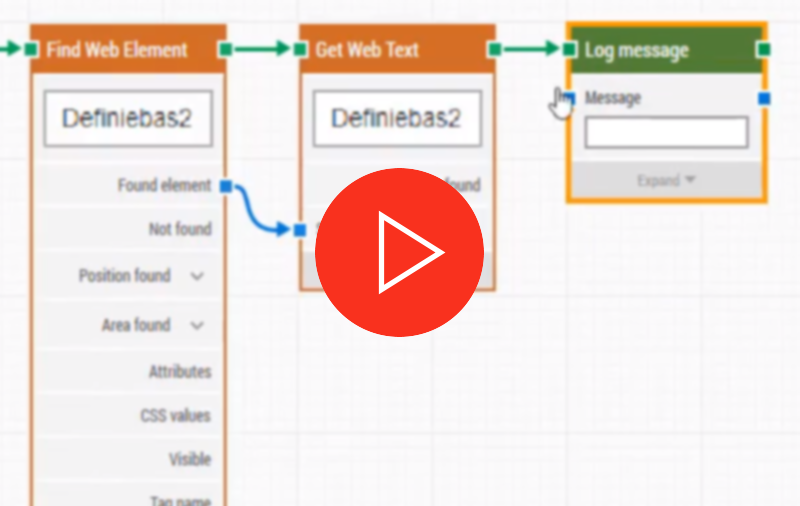 Learn how to build automation cases for websites, web applications, and mobile web pages. Web automation with LEAPWORK is based on the powerful Selenium framework for browser automation but does not require coding skills. 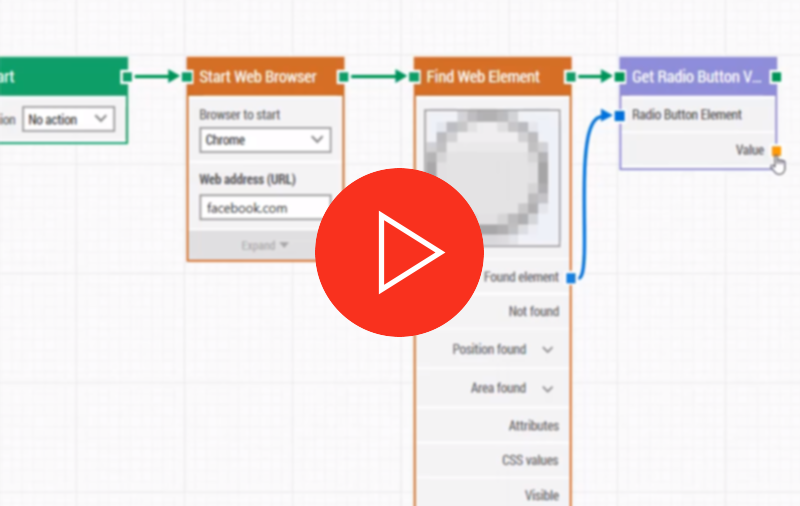 Design web automation flows by connecting the LEAPWORK blocks. Be introduced to the most commonly used web automation functionalities. 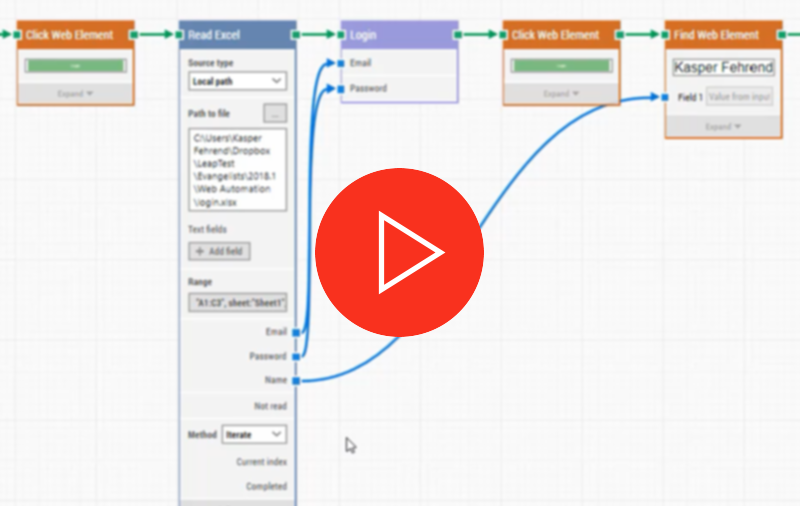 This lesson covers how to reuse parts of an automation flow elsewhere by creating sub-flows and how to add parameters to a sub-flow. 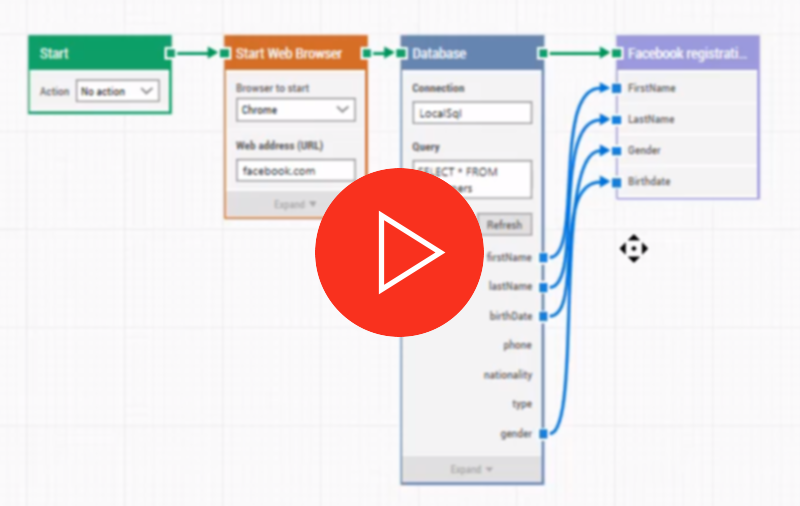 Learn to design data-driven automation by using spreadsheets, databases, web services, and command line scripts. 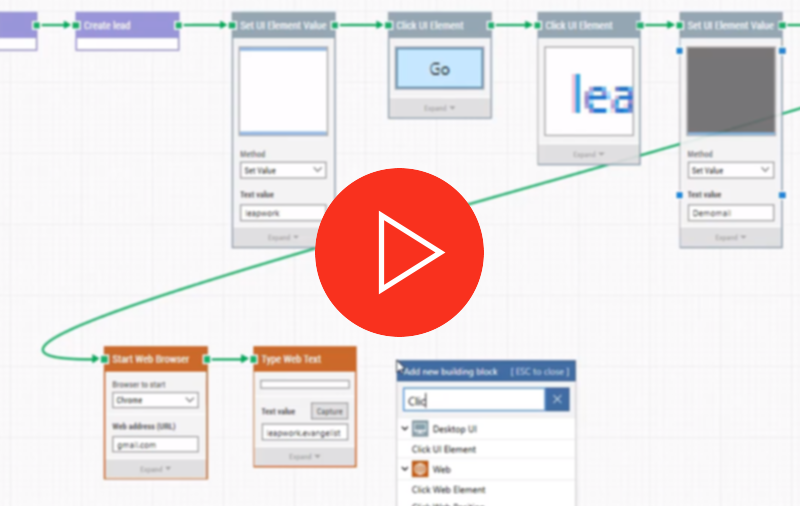 Automate web forms and learn how to use the Database building block to drive values dynamically into a form. Automatically read and retrieve text, selections, numbers, etc. from a web page, including text fields, drop-downs, and radio buttons. Learn to work with lists of web elements to be used for automation and how to select all elements of the same type. Learn how to automate a mobile website by designing automation cases locally and then run them in the cloud. Learn how to use web automation as part of a desktop case, how to build asserts based on values from different applications, and more. This lesson covers: Setting up environments for remote execution, schedules, and integrations to third-party cloud services. Get inspiration on how to use the LEAPWORK with your web-based standard applications: MS Dynamics CRM, SalesForce, ServiceNow and Sitecore. 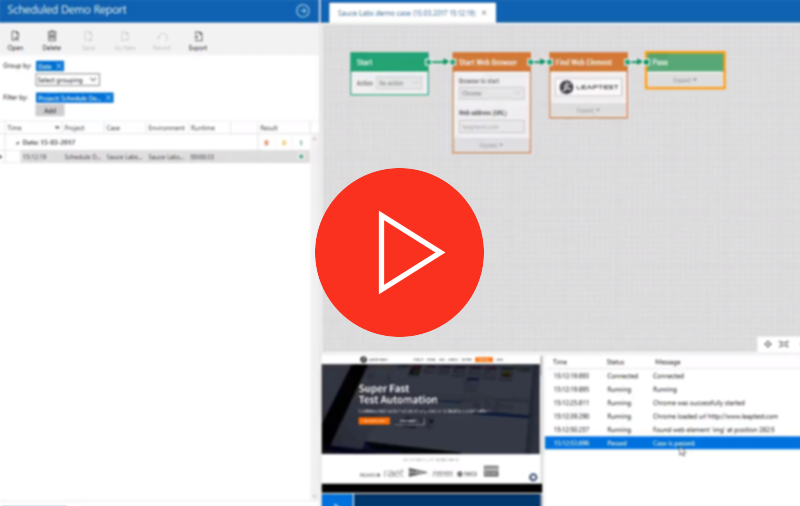 Watch this example of how to automate MS Dynamics CRM using the standard web automation in LEAPWORK. 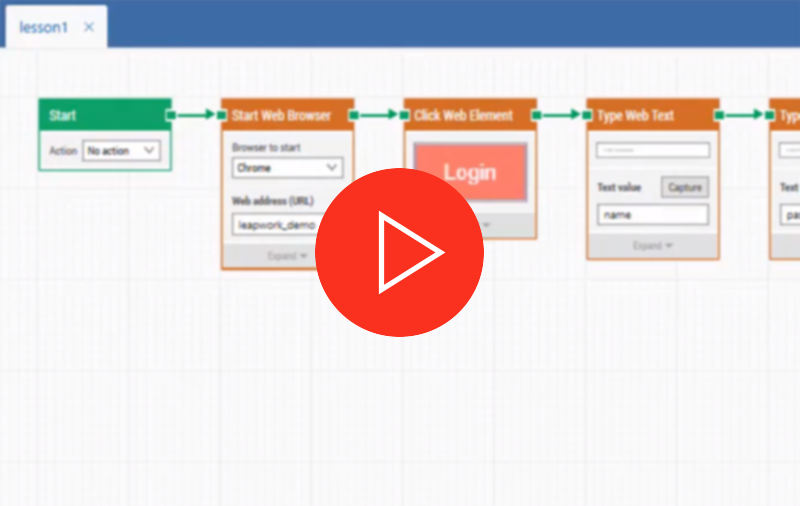 Watch how easy it is to automate the creation of a new lead in SalesForce using the standard Web Automation in LEAPWORK. 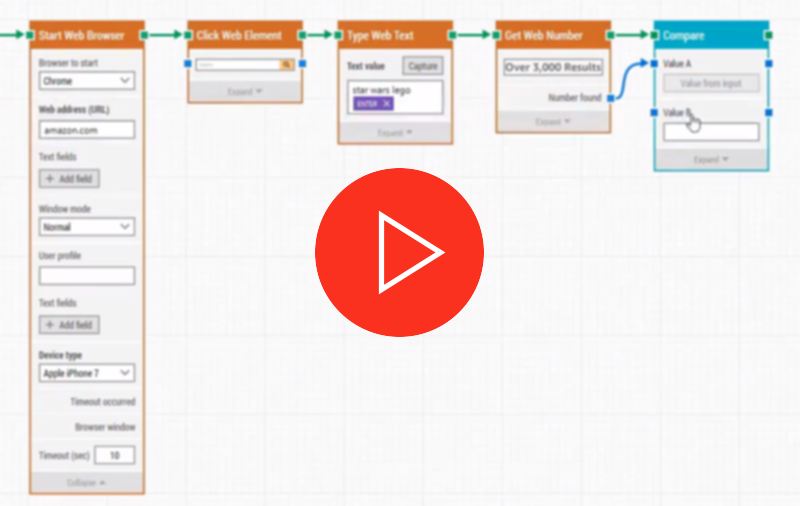 This video shows how to use an external data source, a Microsoft Excel spreadsheet, to drive data into a Web Automation case. ServiceNow is all web-based and is a fantastic fit with LEAPWORK. See the examples in the video. Sitecore is a top-tier CMS allowing heavy customization. Watch the example covering both the administrator and a public website. 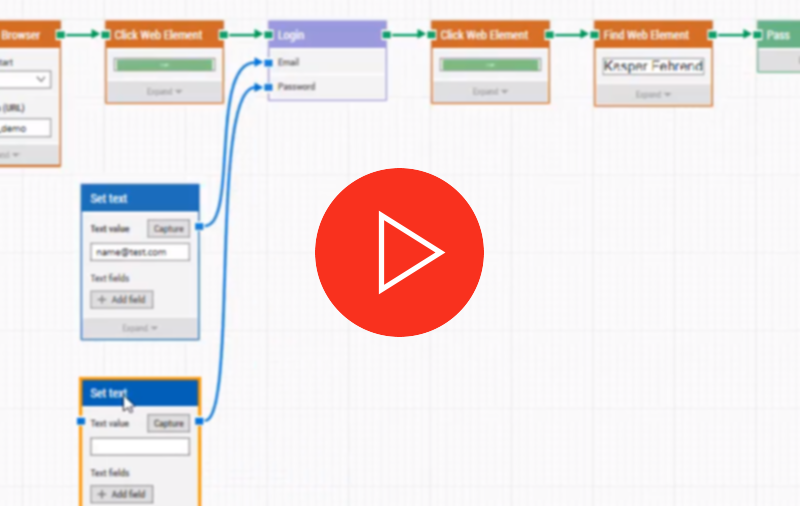 Learn to automate authentication, dynamic content, file uploads, and much more. Basic terminology: What's the difference between web, desktop UI, and virtual desktop automation?